Winter has arrived! 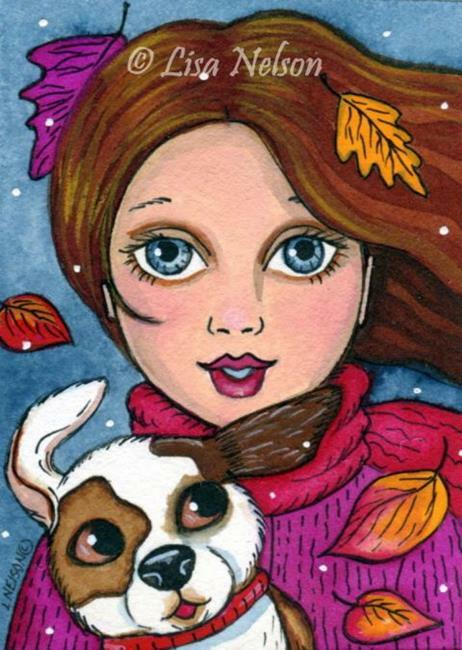 A young woman and her trusty dog companion brave the fierce winds that blow away the autumn leaves and usher in the snowflakes! Done with watercolors and archival ink on 140 lb Fabriano Artistico hot press watercolor paper. Measures the standard 2.5" x 3.5". ACEOs can be kept in an album or matted and framed. They're a fun way to collect original art that doesn't take up a lot of space. Sealed with UV resistant matte varnish and signed and dated. My watermark will not appear on your painting.